5th sentence, 74th page: She was so beautiful, in fact, that the midwife attending her mother snatched up the wailing infant and locked herself in a linen closet, begging for just another moment to gaze upon Yeva’s face and refusing to relinquish the baby until the duke called for an axe to break down the door. I thought this was going to be very traditional-feeling. The overlooked suitor keeps on trying for the beautiful, rich bride. He gets help from an unpredictable source (in this case a river), and after completing task after task, he finally triumphs. That is until you remember that this is one of Bardugo’s fairy tales and they aren’t going to be like this at all. 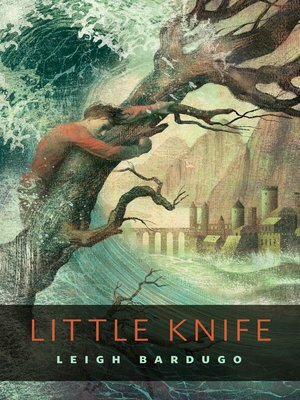 Little Knife is a wonderful story with (in my opinion) a happy ending. It is a great reminder that marriage, and social standing aren’t everything. It is about not taking things for granted, and not thinking that you own something just because it has helped you. Everything, everyone has a spirit and it is far better not to trap them… in case the worst should happen.